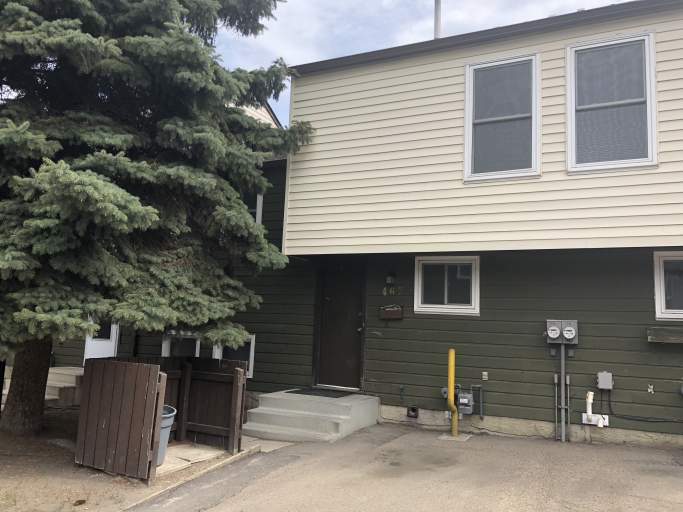 Nestled in the family friendly community of Abbottsfield, this recently updated townhouse offers proximity to varius schools, parks and retail including Riverview Crossing and the Abbottsfield Recreation Centre. Plus with Victoria Trail and the Yellowhead just seconds away, any commute would be a breeze! This townhouse truly is a great place to call home! The entire main floor of this spacious unit has been repainted and all flooring replaced with stunning vinyl plank!! Plus all carpets were just cleaned! Enjoy a large living room filled with natural light, a small dining area, a den (perfect for a small desk) and functional kitchen with full size fridge, stove and even a dishwasher! Upstairs offers three spacious bedrooms and a full bathroom complete with a tub shower. The partially finished basement is home to the washer/dryer and a large unfinished storage area. Small fenced yard with access through living room patio door! One outdoor parking stall included just outside the unit!